Kim L. Hartz has over 20 years experience working in the spa industry and specializes in "spa" aquatic bodywork and aquatic therapy. She is a WABA certified Watsu® 1 & 2 and Basic Watsu® Instructor through Watsu® for Spas & Therapy Institute - specializing in teaching aquatic bodywork for "Spas" and "therapy". She is an NCBTMB CEu (42 hours for Watsu® 1) Provider, and an Assistant Instructor in Watsu®2. Kim worked at Two Bunch Palms Resort & Spa for twenty (20) years specializing in aquatic bodywork for "spa guests" and now focuses on Teaching and working with children and Veterans with PTSD for the Wave Academy. She is committed to her practice and looks forward to the day when all people realize the importance of bodywork for the physical, emotional, and spiritual - "somatic" self. Kim joined the WAVE ACADEMY, a non-profit organization, as a Watsu® Instructor and Practitioner providing aquatic therapy for Veterans with PTSD and their Caregivers. She also provides aquatic therapy for seniors and children with disabilities. 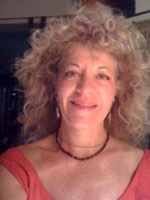 Through her WABA Institute - Watsu® for Spas & Therapy Institute - Kim provides instruction in Programs for Watsu Provider and Watsu Practitioner at spas and retreat centers around the world. Kim believes that everyone deserves to benefit and de-stress their body by receiving Aquatic Therapy. 2557 total hours ...Includes hours of 43 WABA water classes taught.